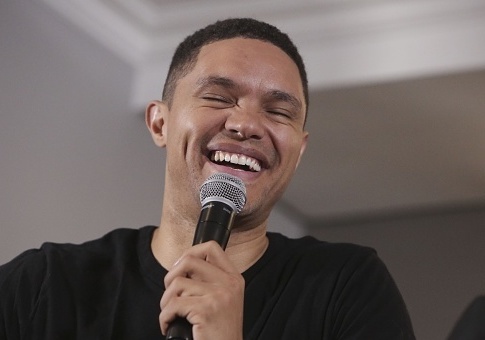 Comedy Central announced Thursday that "Daily Show" host Trevor Noah won't be leaving anytime soon after he accepted a five-year contract extension. The network announced in the deal that Noah will also host and produce "annual, year-end ‘Daily Show specials,’ beginning this year," CNN reported. "I’m thrilled to be continuing this amazing journey with both fans of ‘The Daily Show’ and Comedy Central," Noah said in a statement. "It’s really exciting to renew this contract for either five more years or until Kim Jong Un annihilates us all – whichever comes first." Comedy Central parent company, Viacom, prides itself on Noah’s ratings, especially with the younger crowd, according to CNN. "Every sequential month, including in August, is his most watched month," Viacom CEO Bob Bakish said. "He now has the largest audience of millennials in late-night TV against everybody." The "Daily Show" averaged 1.3 million total viewers this season, behind others at his network, but ahead of rival late-night shows like TBS’s "Conan." Bakish said that while there's room for improvement, Trevor is on a "good path," and compared him to his "Daily Show" predecessor Jon Stewart. "Jon Stewart was on the network for 18 years. Jon Stewart did not become Jon Stewart in one year," Bakish added. "Trevor is in a very good path." He also announced Comedy Central is preparing to launch "The Opposition" on Sept. 25. The show, to be hosted by "Daily Show" corespondent Jordan Klepper, will air at 11:30 p.m. and is said to be a companion to "The Daily Show." This entry was posted in Culture and tagged Daily Show, Trevor Noah. Bookmark the permalink.